Bred to be Quarter Horses, Spotted Joe Reed and his full sibling, Marylin (Two Spot), were in fact cropout Paints and stars of the Oklahoma brush tracks. 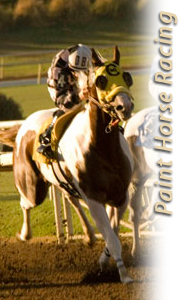 Though their racetrack dominance predated APHA’s formation, their legacy lives on in the blood of today’s Paint Horses. Photo courtesy of Dale and Carolyn Staton. Hoof imbalances can negatively affect a racehorse’s performance. 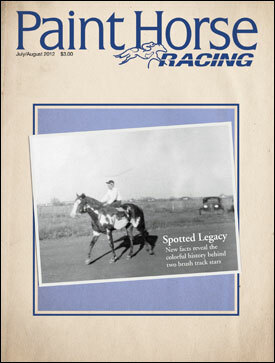 Six decades ago, a pair of Paint racehorses competed on the brush tracks of the Sooner State. Recently discovered facts and photos add insight to their legend and legacy. Change and positivity were the earmarks of the 2012 APHA Workshop.